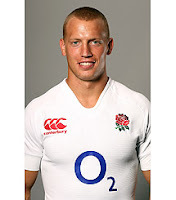 … William Wesley ‘36’ Twelvetrees has made the England squad, albeit as injury cover. At six foot three and 16 stone plus with pace, great distribution off either hand and a very decent kicking game, Billy Twelvetrees is potentially the complete package at inside centre and is the closest thing to Will Greenwood that we’ve had for years. The chances of him actually featuring this autumn are slim (given the perceived pecking order) but, as I have previously asked, what’s not to like? 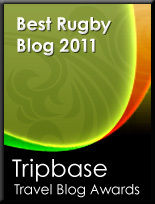 Twelvetrees is awesome and represents everything that England are currently lacking as a team. His omission from the EPS is utterly mystifying. I hope he does get a run at some point this autumn, but even if he doesn't, time spent with the squad will help - 6 nations might be an easier set of games to debut in and make an impression anyway.